+ The author, Dheeraj Sanghi, is a professor of computer science at the Indian Institute of Technology, Kanpur. Featured longread: What happened to each one of us before the age of seven? 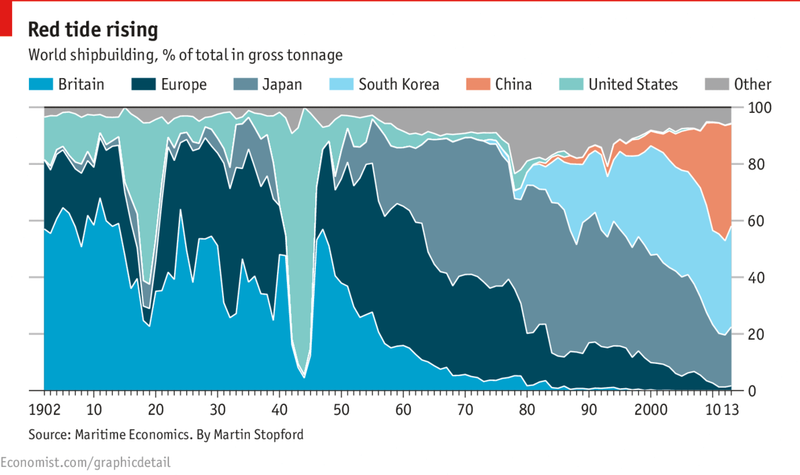 Gone are the days when Britain built most of the world’s ships and ruled the seas. By the end of the Second World War, the US was producing 90% of all the world’s ships by weight. By the 1990s, though, Japan and South Korea had in turns acquired the title. Now this decisive distinction could belong to China. Today, it produces around 35% of the world’s ships. The Economist has more.